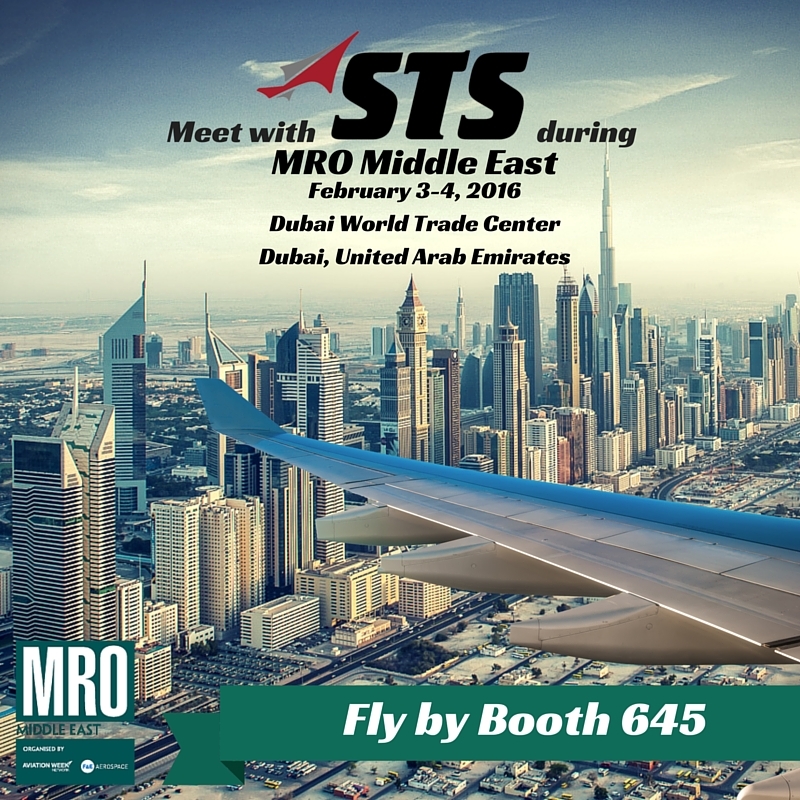 STS Aviation Group is amped up to be a part of MRO Middle East for the second year in a row. The 2016 conference is set to take place in the heart of the global business district of Dubai, United Arab Emirates. MRO Middle East, co-located with Aircraft Interiors Middle East (AIME), is being held on February 3-4th, 2016 at the Dubai World Trade Centre. The conference will bring together key contacts across the aerospace industry such as customers, colleagues, competitors and buyers from all segments of the airline and MRO sector. It is the prime place to meet and network with the people directly involved with industry growth and development within the Middle Eastern region. Members from the STS Component Solutions team will be in attendance, and we invite all conference participants to fly on over to booth 645 in Sheikh Saeed Hall 2 of the Dubai World Trade Centre to meet them on site. STSCS’ Group President, Tom Covella, Vice President, David Ikeda, and Account Manager Ryan McComas will be onsite to discuss the company’s diverse portfolio of products and service offerings. This includes world-wide OEM Distribution, VMI Programs, aircraft inventory requirements and Live 24/7/365 AOG customer support. Attendees of the conference can expect informative presentations highlighting market forecasts and trends, new data, redelivery challenges, plans for growth and so much more! We look forward to seeing everyone in Dubai and hope to make this another successful and memorable MRO event.